With a win, Brady and Belichick will surpass Hall of Famers Dan Marino and Don Shula for most wins (116) by a quarterback-head coach duo in the Super Bowl era. Brady also needs just one win to tie Hall of Famer Joe Montana (117) for the seventh-most victories by a starting quarterback in league history and owns a 14-5 regular-season record against the Jets. Running back BenJarvus Green- Ellis had a career-best 136 rushing yards in last month’s victory over the Jets and wide receiver Wes Welker had five receptions for 124 yards in that contest. Welker needs two receptions to join Troy Brown (557) and Stanley Morgan (534) as the only players in franchise history with 500 catches. Since entering the NFL in 2010, tight end Rob Gronkowski leads all players at his position with 16 touchdown catches. On defense for New York, linebacker Calvin Pace recorded his first interception of the season last week against Buffalo and fellow linebacker Jamaal Westerman had a career-best two sacks in the Week 5 loss at New England. Rookie end Muhammad Wilkerson has 20 tackles and a sack in his initial season, while second-year cornerback Kyle Wilson has compiled 23 tackles and an interception. Statistically, New England’s offense is fifth in scoring (27.8 ppg), second in total yards (437.2 ypg), first in passing (325.6 ypg) and 17th in rushing (111.6 ypg). On defense, the Jets are ninth in points allowed (20.4 ppg), eighth in total yards allowed (319.0 ypg), seventh against the pass (196.0 ypg) and 22nd against the run (123.0 ypg). In his past four starts, Jets quarterback Mark Sanchez has completed 68-of-112 passes (60.7 percent) for 770 yards, seven touchdowns, two interceptions and a 94.7 rating. He had two touchdowns and a 105.6 rating in the previous meeting between these teams and aims for his 25th regular-season win as a starter (24-15). In his last four games, running back Shonn Greene is averaging 86.3 rushing yards per game, while backfield mate LaDainian Tomlinson posted his first rushing touchdown of the season and 145th of his career last week, the second-most all-time behind Emmitt Smith (164). 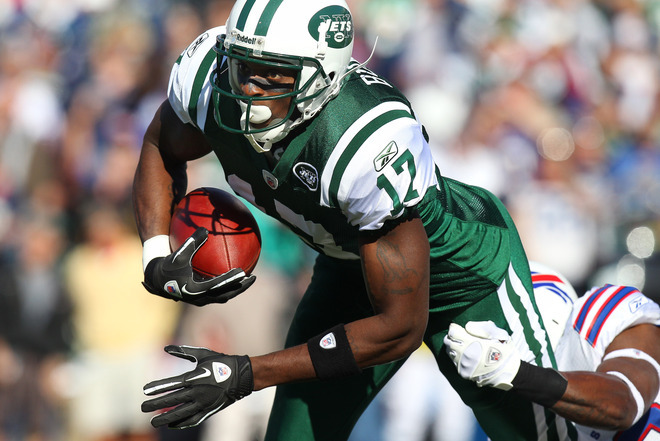 Including the postseason, wide receiver Santonio Holmes aims for a third straight game with a touchdown against New England. Fellow wideout Plaxico Burress had a season-best five receptions and 79 receiving yards last week, while kick returner/running back Joe McKnight leads the league with 40.2-yard kick return average. On defense for the Patriots, cornerback Kyle Arrington is tied for the NFL lead with five interceptions, while end Andre Carter has 32 tackles, 4 1/2 sacks and a forced fumble on the front line. Brandon Spikes leads the linebacker corps with 44 tackles, but injured his knee against the Giants and isn’t expected to play. By the numbers, New York is 11th in the league in scoring offense (24.9 ppg) but 28th in total yards (306.1 ypg), 22nd in passing (209.5 ypg) and 25th in rushing (96.6 ypg). The Patriots’ defense is 20th in points allowed (23.0 ppg), dead last in both total yards (416.2 ypg) and passing yards (314.0 ypg) allowed and ninth against the run (102.2 ypg). 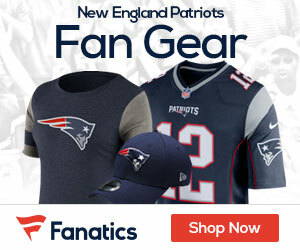 Since the arrival of Ryan, the Jets have convinced themselves they can play with the Patriots, as evidenced by two regular-season wins and a playoff victory in his two seasons. That confidence will be needed against traditionally one of the league’s most successful teams. Greene went over 100 yards against Buffalo and the Jets have averaged 130-plus yards on the ground during their three-game win streak after languishing near the bottom of the league in that category. They gained just 97 rushing yards in the first meeting with the Patriots, however. In one of the most important matchups to watch, Welker looks likely to be lined up against Jets All-Pro cornerback Darrelle Revis, against whom he caught five passes — including one for 72 yards — last month in New England.